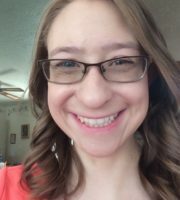 Katie Anderson is a senior at Fort Lewis College, studying political science, pre-law, and writing. On campus, she is the chapter president of Pi Sigma Alpha and is heavily involved with her on-campus young adult ministry. In addition to writing for The College Fix, Katie is a photographer, PragerU student ambassador, and Human Defense Initiative contributor.